It was a mixed week for US equity indexes, with net weekly changes ranging from +0.41% (Dow), +0.14% ( NYSE comp'), +0.02% (sp'500), -0.30% (R2K), -0.48% (Trans), to -0.64% (Nasdaq comp'). The spx settled effectively flat for the week, having seen a rally to 2816, and swinging to a low of 2749. Underlying macd (blue bar histogram) ticked lower for a 4th week. There is plenty of potential for further sig' weakness before end month. 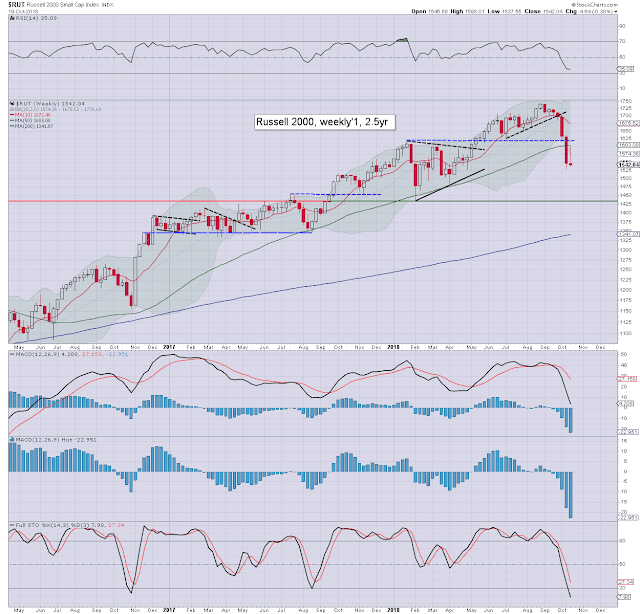 Best guess: a marginally lower low within 2709/2690s, before whipsawing back upward into end month. The market will have a far better chance of sustained upside once the US midterms are out of the way. 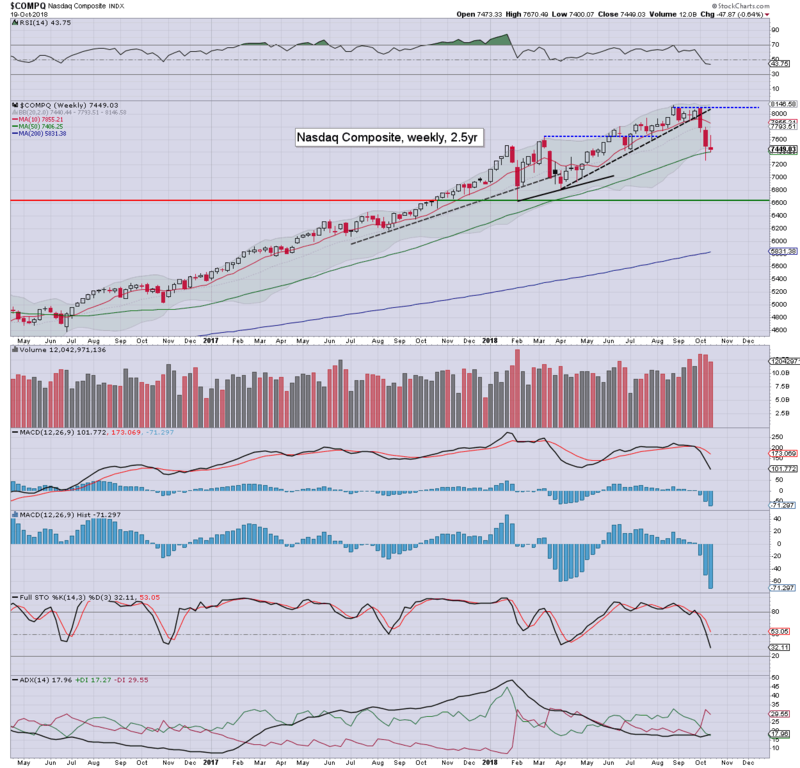 Most bearish case is the 2675/50 zone, but even if that is seen, I'd still look for an October settlement back above the monthly 10MA, which will be in the 2770s. Time is an issue though, with just eight trading days left of the month. The situation is somewhat similar to Oct'2014. 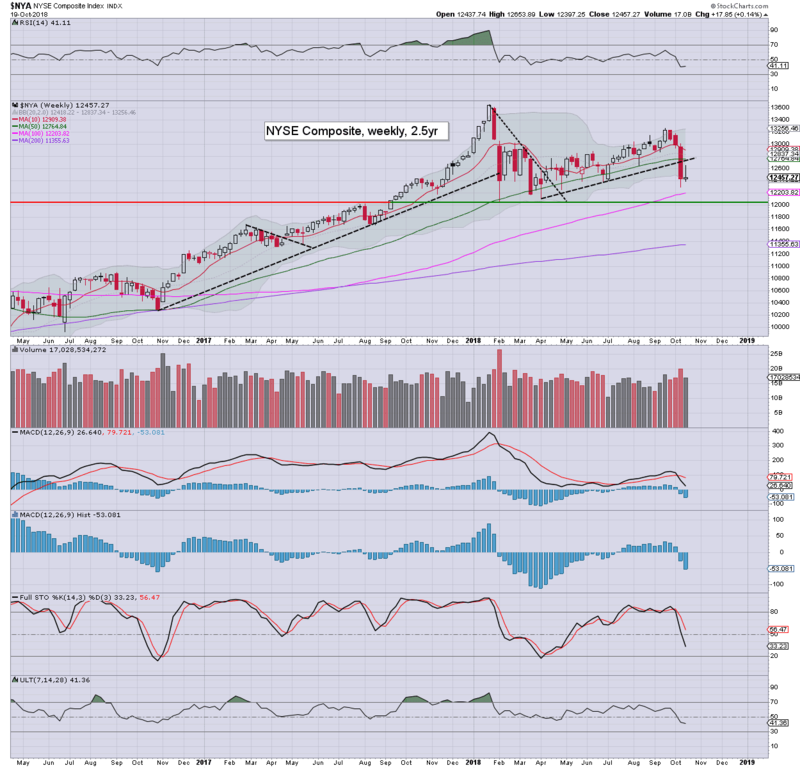 Tech closed lower for a third consecutive week, with the Nasdaq comp' settling -0.64% to 7449. Price momentum is back to levels last seen in Feb'2016. 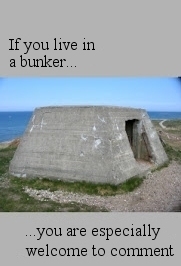 On any basis, cyclically extremely low, and due to find a floor. The mighty Dow was very resilient this week, settling +0.41% to 25444. Despite the gain in price, actual momentum has turned outright negative, and threatens renewed sig' cooling. 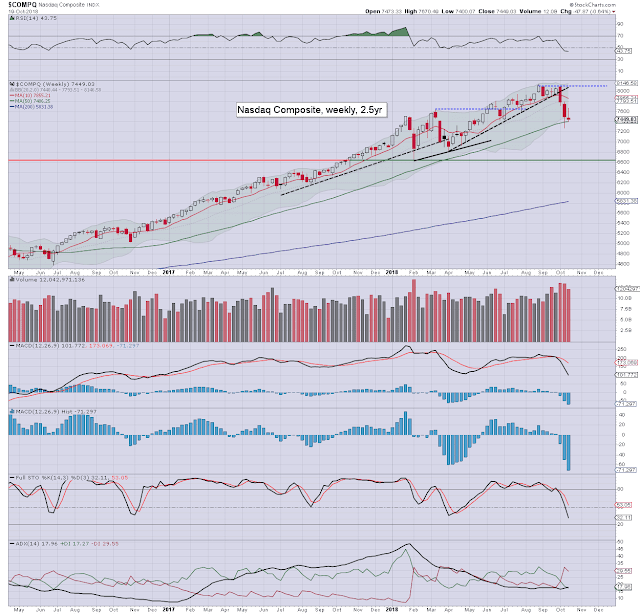 Note the lower bollinger, offering big support around the 24200s, and that is a clear 4% lower. 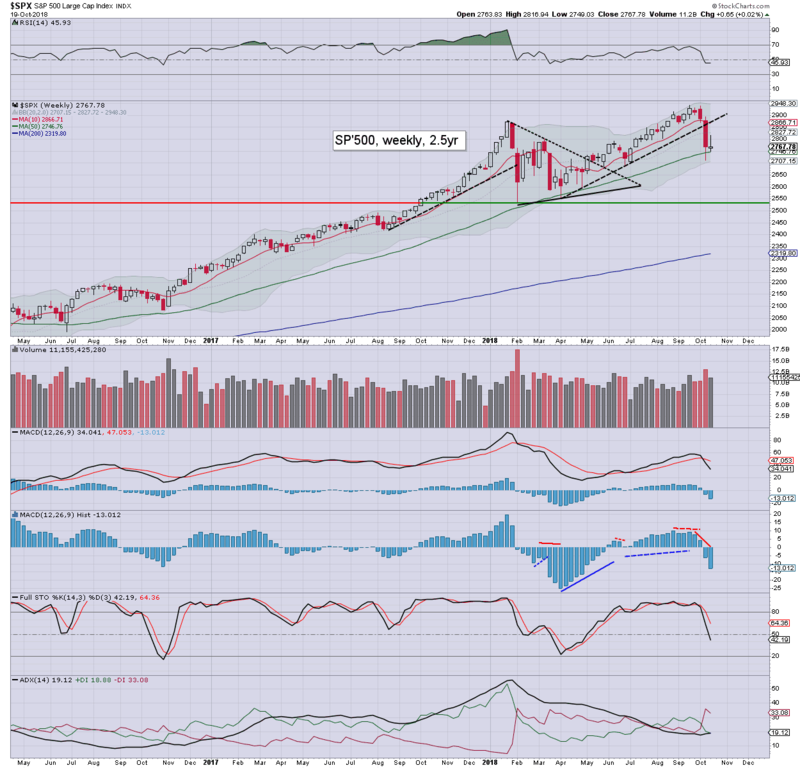 If seen, it would equate to sp'2675/50. The master index settled +0.14% at 12457. Technically, there is little sign of a floor, with the February low just 3.3% to the downside. 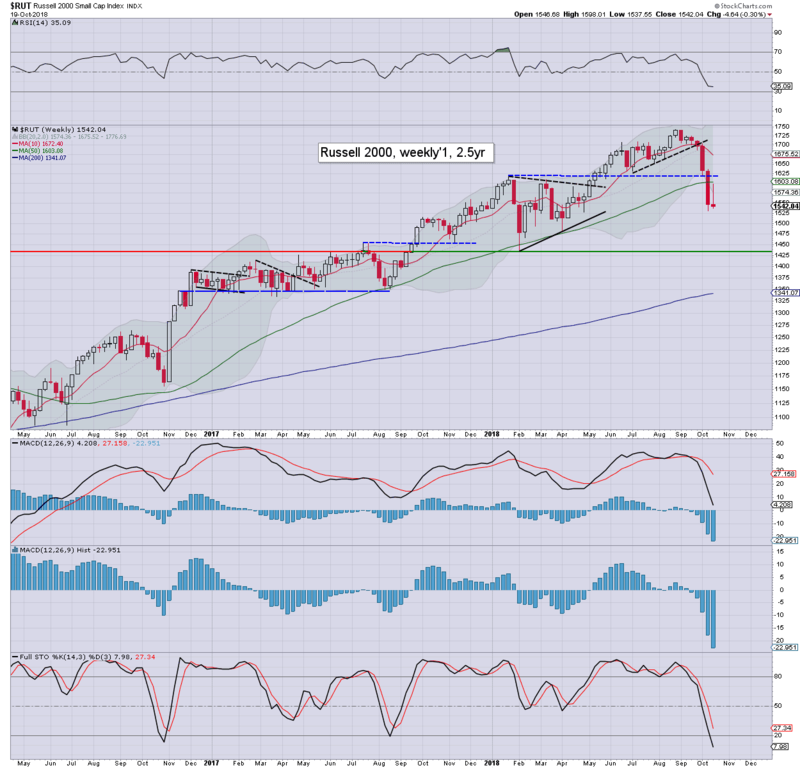 The second market leader - R2K, fell for a fifth consecutive week, -0.3% to 1542, the lowest close since April. 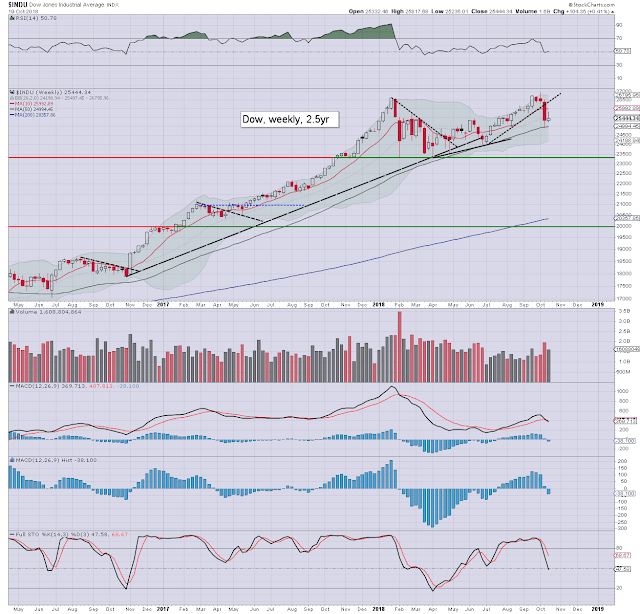 Indeed, the April low of 1482 isn't far down. 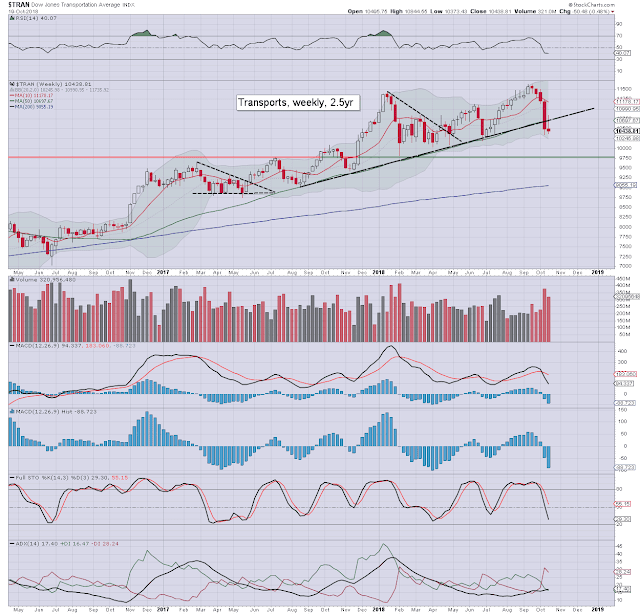 The 'old leader' Transports, fell for a fifth consecutive week, settling -0.48% to 10438. 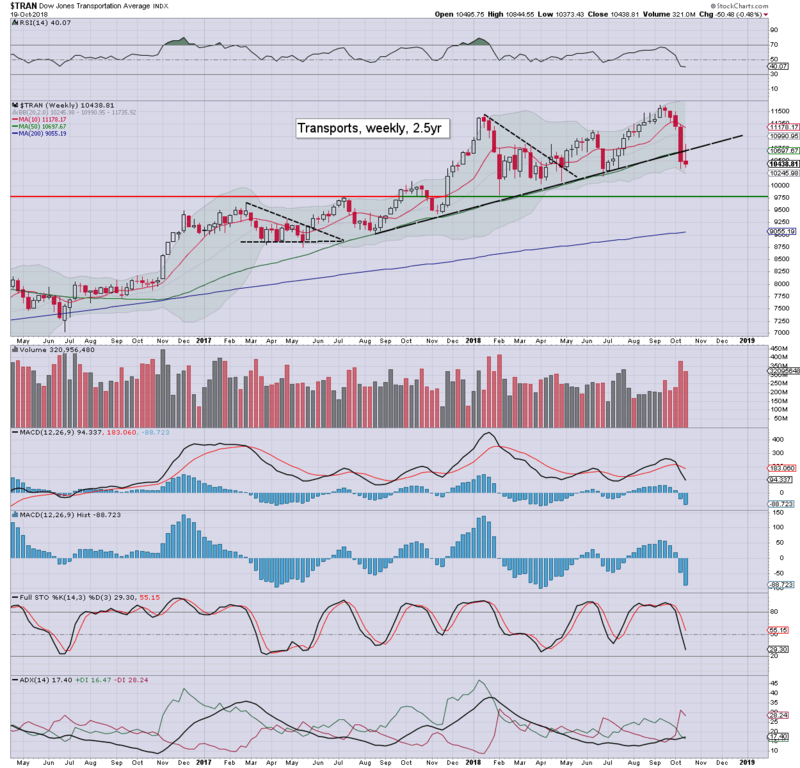 Giant support within 10000/9700s.Whilst higher WTIC/fuel is an issue, it is being negated by the broadly strong US economy. Recent earnings in Delta (DAL) and United (UAL) are entirely supportive of this view. Three indexes settled net higher, with three net lower. 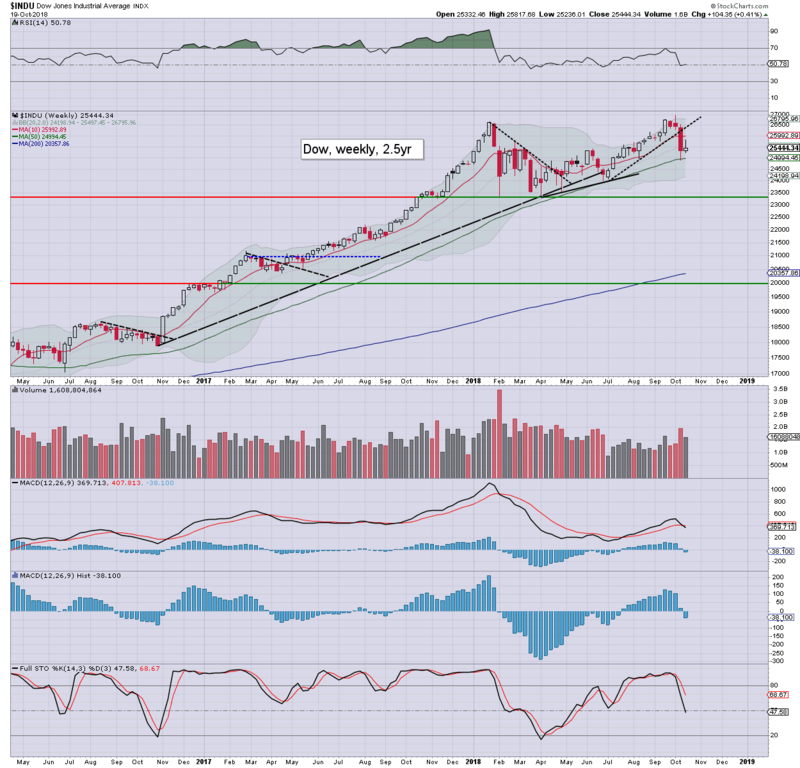 The Dow was most resilient this week, with the Nasdaq lagging, but the net weekly changes were only moderate. 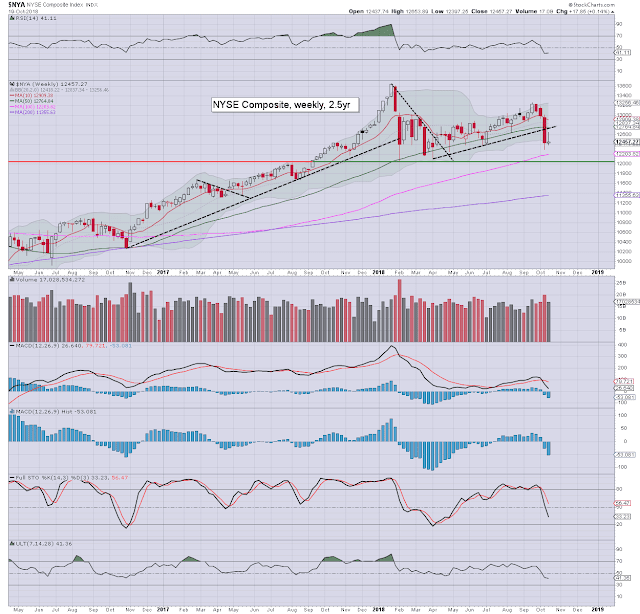 The Nasdaq comp' is +7.9%, but that is some 10% lower since August. The spx is currently +3.5%, the Dow +2.9%, with the R2K +0.4%. The Trans is -1.6%, with the NYSE comp' -2.7%. 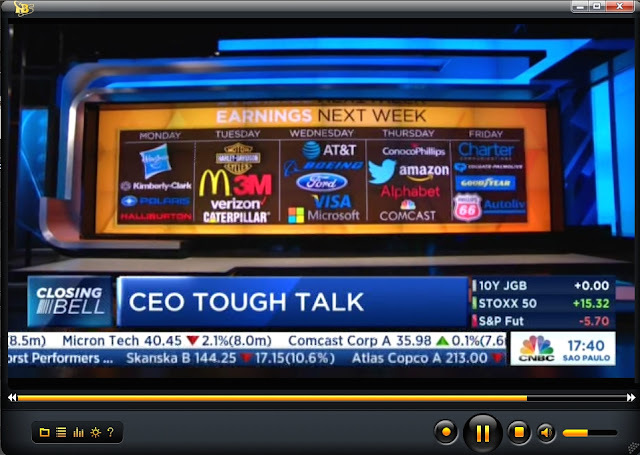 There is a veritable truck load of earnings this week, notably: HAL (Mon'), CAT, MMM (Tues'), FCX, BA, F, MSFT, V, AMD (Wed'), INTC, MRK, TWTR, AMZN, GOOGL, SNAP (Thurs'). *market is expecting 3.3%, vs prev' 4.2%. I can't fathom why the market would expect such significant cooling. I would expect at least 3.5%, if not >4.0%. As ever, first print is often significantly revised. 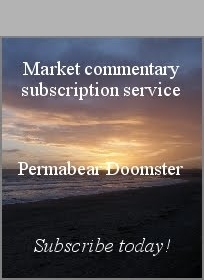 If the GDP data does come in hotter than consensus, there will be threat of 'good news is bad news'. The market would raise expectations for more rate hikes next year, and we've seen how the market reacts to that outlook lately.